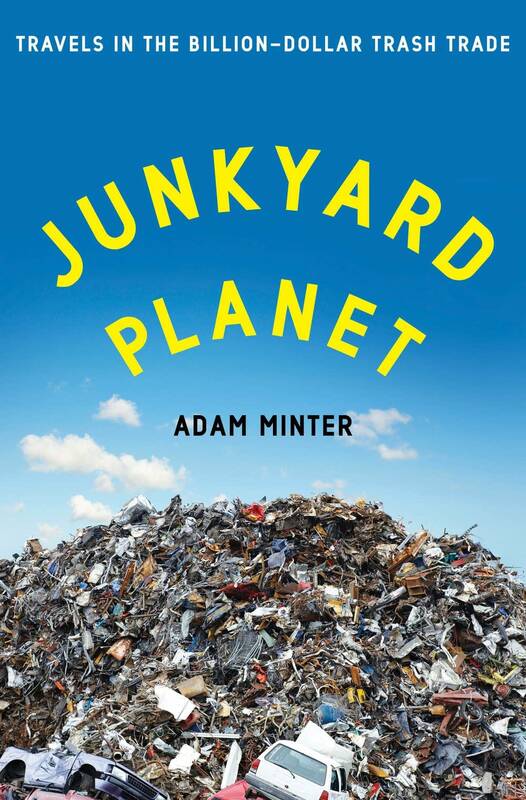 In "Junkyard Planet," journalist Adam Minter spends several years tracking the global trash trade. The son of a Minnesota junkyard owner, Minter finds out where all our junk goes and who's making money off it. As countries like the United States started to throw away more items, fast-growing countries like China needed more scrap metal to develop their cities and meet consumer demand for products. "And as that stuff grew," he said on Fresh Air, "the industry that was devoted to collecting it, recycling it and, to a large extent, exporting it grew with it. So the employment opportunities and the wealth generated in the developed world and in the developing world has been extraordinary." China leads the world in the consumption of steel, copper, aluminum, lead, stainless steel, gold, silver, palladium, zinc, platinum, rare earth compounds, and pretty much anything else labeled "metal." But China is desperately short of metal resources of its own. For example, in 2012 China produced 5.6 million tons of copper, of which 2.75 million tons was made from scrap. Of that scrap copper, 70 percent was imported, with most coming from the United States. In other words, just under half of China's copper supply is imported as scrap metal. That's not a trivial matter: Copper, more than any other metal, is essential to modern life. It is the means by which we transmit power and information. Minter joins The Daily Circuit to talk about his book. He'll also appear at 7 p.m. tonight at Common Good Books.